Boy, you guys sure showed Capcom. 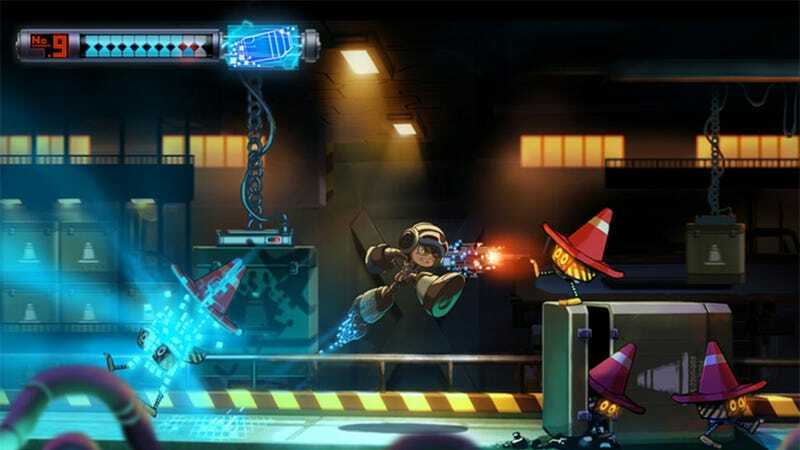 Having consigned Mega Man to the dustbin of history, the Japanese publisher is probably kicking itself watching the Kickstarter for the series' spiritual successor - Keiji Inafune's Mighty No. 9 - blow past its funding goal in just 24 hours. Having asked for $900,000, the game - which is basically a HD Mega Man in all but name -is now sitting at over $1,000,000, and that's with 29 days left on its campaign. It'll be interesting to see how much more money it raises; $1.35 million brings the promise of Mac & Linux versions, while $2.5 million would see the team release the game on 360, PS3 and Wii U.
Awesomely, one person has also thrown down the $10,000 necessary for a dinner in Tokyo with creator and long-time Mega Man mentor Keiji Inafune.